One of the most rewarding aspects of being a primary math teacher is to hear students tell us their thinking, whether it be how they figured out a word problem using subtraction or why 2 objects are similar. Using Scratch allows all students to articulate their thinking, share their ideas with others in the class and practice coding at the same time. Just like differentiating reading instruction we have found Scratch to be a beneficial way to allow students to express their math thinking in a creative and innovative manner. 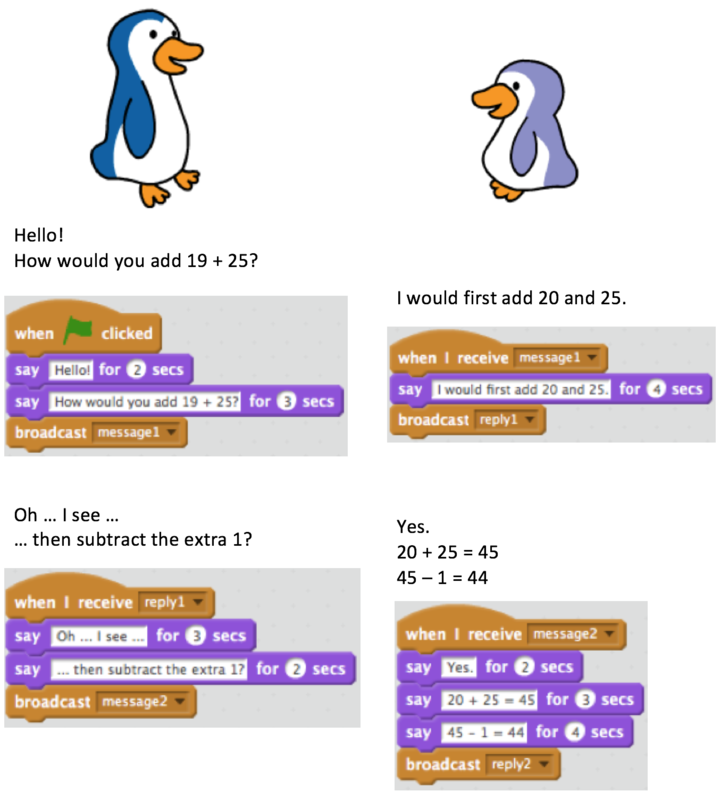 Before beginning to use the Scratch program as a tool to express mathematical thinking we gave students a chance to use Scratch in other ways. They became comfortable entering code, making mistakes and playing with the available features. 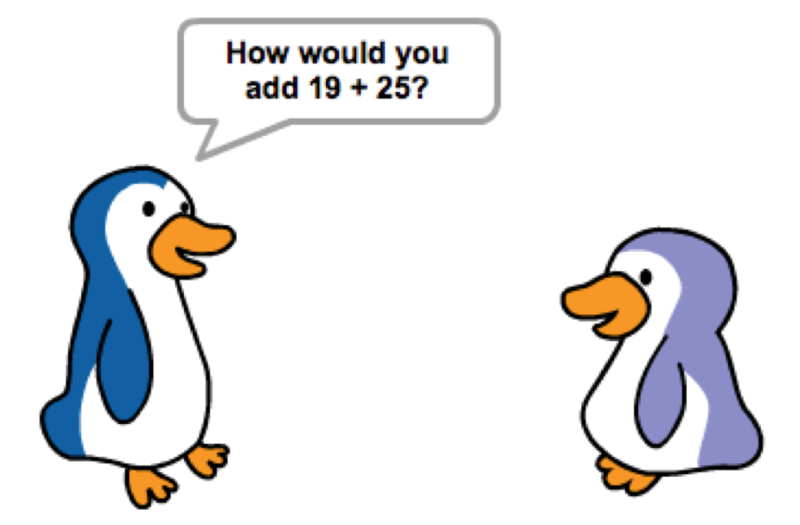 Then, our students used Scratch to code mental math dialogues. Here is what the code looked like. Scratch is a new, exciting program to all of us in the classroom! We couldn’t anticipate where the kids would go with the program. Projects were very open-ended and even students who aren’t normally successful in math achieved some sort of success using Scratch. We recognized all the achievements because everything was new to us. Their thinking was unpredictable and their projects even more so. Don’t be afraid to let your students experiment, they will show you things you would not discover yourself! What did you child share with you? Organizing parent comments into themes can make a song. Here are two songs from our classrooms, with our students singing their parents’ comments. she said it was cool! and coding is really cool! Cross-curricular connections were easy. 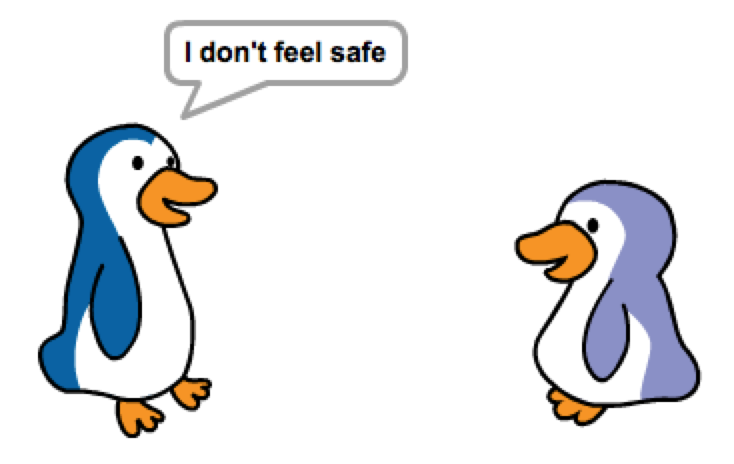 For example, we also adapted this activity for children to use Scratch to code dialogues during our anti-bullying week. Teachers can give students scenarios in Health and ask them to solve the problem. For example in Grade 3 students learn about Healthy Living. The curriculum for Health includes this objective: describe methods that may be used instead of or in combination with medication to maintain good health and prevent or treat various health problems (e.g., getting more sleep to help get rid of a cold; getting more fresh air and physical activity to relieve headaches; eating healthier meals as recommended in Canada’s Food Guide; using natural healing practices). Using Scratch allows students to communicate their understanding about such topics in an engaging way. Including parents is a sure way to get kids to buy-in. 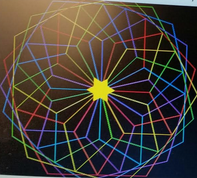 The parents of the students we teach have expressed that they are happy and appreciative of the extra time and effort we are giving students to help them develop a deeper level of computational thinking. Many parents have expressed gratitude that their children are getting more comfortable using technology. Both parents and students are very excited about learning to code. 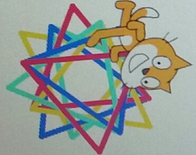 Some students have created a Scratch account and have made their own projects at home!